Kalank’s Song First Class On ‘How’s The Hype?’: BLOCKBUSTER Or Lacklustre? After Ghar More Pardesiyan that showcased Madhuri Dixit & Alia Bhatt’s vocal jugalbandi, the makers of Kalank treated us with First Class, which released on Friday. The song features Varun Dhawan and Kiara Advani’s quirky chemistry and gathered more than 30 million views across all social media platforms within 24 hours of its release. Rate the buzz for First Class in the poll below and share your views with us in the comment section! Kalank’s Song Ghar More Pardesiyan On ‘How’s The Hype?’: BLOCKBUSTER Or Lacklustre? Yesterday, the first song of Kalank titled Ghar More Pardesiyan was released. It features Madhuri Dixit, Alia Bhatt and Varun Dhawan. As expected it garnered a warm reception with over 13 million views and 177K likes on YouTube, in a day. In a duration of 3 minutes and 15 seconds, Ghar More Pardesiyan is a treat with a vocal ‘jugalbandi’ between Alia and evergreen Madhuri Dixit. It also captivates given the gracious dance moves of Alia. The song is backed with the soothing vocals of Shreya Ghoshal and Vaishali Mhade, while composed by Pritam. It is penned by Amitabh Bhattacharya. Rate the hype in the poll below to add up to the overall buzz of the song! Kalank Posters Ft. Madhuri Dixit-Nene, Sanjay Dutt On ‘How’s The Hype?’: BLOCKBUSTER Or Lacklustre? In the latest introduced ‘How’s The Hype?’ section, we amass the votes from you guys to decide how’s the current hype around a certain film. 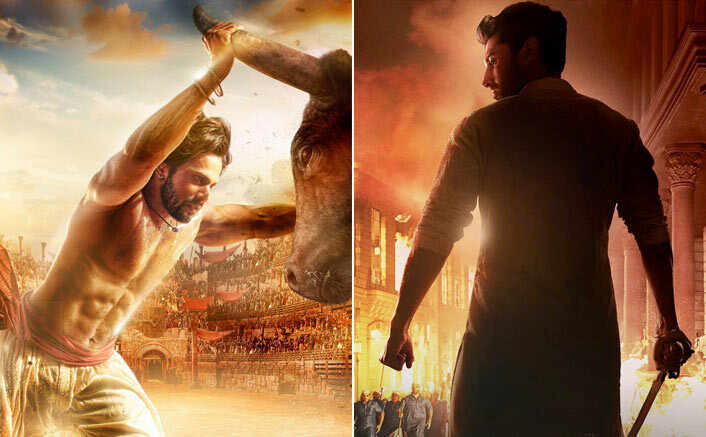 Filmmaker and producer Karan Johar shared two new posters of his upcoming production, Kalank. The posters feature actors Madhuri Dixit Nene and Sanjay Dutt. Madhuri who plays Bahaar Begum in the film is seen wearing an all red outfit and ethnic jewellery. She is a sight to behold with a spark in her eyes and her captivating expressions are adding more charm to her character. Karan while sharing the poster has called her a true begum of hearts and we wouldn’t deny that at all. She looks ethereal and timeless as ever. Sanjay Dutt, on the other hand, looks serious as Balraj Chaudhary and is sitting in the car, smoking a cigar. He looks pretty convincing in the poster. How did you find the two character posters? Vote now and share your views in the comment section below. 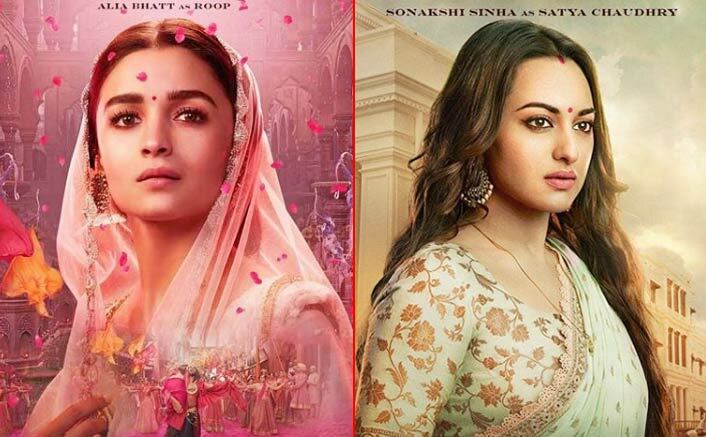 Kalank Posters Ft. Alia Bhatt, Sonakshi Sinha On ‘How’s the Hype?’: BLOCKBUSTER Or Lacklustre? In the latest introduced ‘How’s The Hype?’ section, we amass the votes from you guys to how’s the current hype around a certain film. Kalank starring Alia Bhatt, Varun Dhawan, Aditya Roy Kapur, Sonakshi Sinha, Madhuri Dixit, and Sanjay Dutt is already the talk of the town. It has already created a buzz in the town and everyone is talking about how massive the teaser and posters of the movie looks. The posters are really fascinating and look like it’s going to be one hell of a ride. Isn’t? Yesterday they have released two new posters of Alia as Roop and Sonakshi as Satya. While Alia as Roop looks so bold and breathtakingly beautiful in the poster, and the red bindi is only adding more charm to her beauty. Whereas Sonakshi as Satya holds a lot of emotions and looks intense in the poster. Kalank Posters Ft. Aditya Roy Kapur, Varun Dhawan On ‘How’s The Hype’: BLOCKBUSTER Or Lackluster? Kalank starring Varun Dhawan, Alia Bhatt, Sonakshi Sinha, Madhuri Dixit, Sanjay Dutt & Aditya Roy Kapur in lead roles, has created a massive buzz amongst the viewers ever-since the release of its teaser. The makers have now intrigued us further with the character posters of Varun as Zafar & Aditya as Dev which released yesterday. While we have Zafar on one side showcasing his fierce and hot phsyique as he’s seen caught in a bull fight, on the other hand we have Dev who seems to be all in anger, carrying a hand in his sword and his side face is clearly expressing it all! How did you find the character posters? Vote now and share your views in the comment section below. Kalank Teaser On ‘How’s The Hype’: BLOCKBUSTER Or Lacklustre? Yesterday, the much-hyped teaser of Kalank was unveiled across the online platforms. And as expected it garnered a massive response with above 22 million views and 356K likes on YouTube in a day. The period drama set in the pre-independence era of India, features Sanjay Dutt, Madhuri Dixit, Varun Dhawan, Alia Bhatt, Aditya Roy Kapoor and Sonakshi Sinha in key roles. 2 minutes and 5 seconds long teaser showed us how grand this offering is going to be. The spectacular sets and high production value promises Kalank to be larger than life drama. We are sure the eternal love story will be captivating and a visual treat for all us. But before that rate the hype in the poll below to add up to the overall buzz of the teaser! 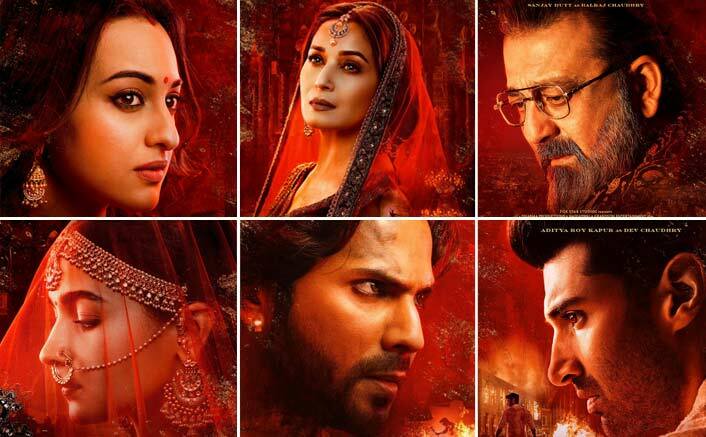 Kalank Posters On ‘How’s The Hype’: BLOCKBUSTER Or Lackluster? Kalank posters are here and all six of them! After the #MenOfKalank, we saw #WomenOfKalank and each poster screams elegance. Varun Dhawan, Alia Bhatt, Aditya Roy Kapur, Sonakshi Sinha, Sanjay Dutt and Madhuri Dixit are the top-billed cast and they’ve got their character posters. Kalank Teaser On ‘How’s The Hype’: BLOCKBUSTER Or Lackluster? In the latest introduced ‘How’s The Hype?’ section, we amass the votes from you guys to decide how’s the current hype around a certain film. This section will have anything and everything related to Dharma Productions’ Kalank. Near the end of the release, we’ll see what you guys have decided by calculating the average of votes on every material of a film. For now, it’s Kalank posters. Go through all of them and let us know how much did you guys like them. Share your thoughts about the segment and vote your opinion in the poll given below.